« How Does a 5th Year Starting QB Get Benched and A Rookie 3rd Round Pick Get Named The Starter? 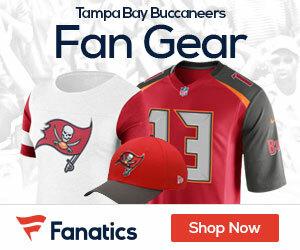 The Tampa Bay Buccaneers will be looking for their first win of the season Thursday night against the Carolina Panthers. The Buccaneers will be without running back Doug Martin, who injured his shoulder in last week’s loss to Atlanta Falcons. Since switching to rookie Mike Glennon from Josh Freeman at quarterback, Tampa Bay still hasn’t won a game, but have scored over 20 points in a game the past two weeks, the only two such occurrences of the season for the Bucs. Glennon will face a very tough Carolina defense that sports one of the best front sevens in the league. Tampa Bay Buccaneers tickets are currently averaging $67 on the secondary market, a 36% decrease over the season average at Raymond James Stadium. The average price has also dropped 18% in the last week. Fans in the Tampa Bay area don’t seem to be too excited with the way the Buccaneers are currently playing. The $67 average price is the lowest for any game during Week 8 and lower than the get-in price for four other games this weekend. The starting price for this game is also a fairly low $17, the third lowest for Week 8 games. No longer are Buccaneer fans willing to pay a premium to see this team play this year. Head coach Greg Schiano thinks this team can win by playing “Buccaneer football,” but that style of play hasn’t worked in six games and isn’t making fans too eager to see this team play. If The Bucs are going to turn this season around as they travel to Seattle to play the Seahawks next week and could easily be looking at a 0-8 record without a win against the Panthers. This has been a season of turmoil for the Bucs between the release of Freeman and outbreak of MRSA at the team facility, but it would be hard for Tampa Bay’s season to get worse from here.